Kaufman, best known for his mind twisting screenplays for the Spike Jonze films “Being John Malkovich”, “Adaptation” and the soulful, achingly beautiful and Oscar winning “Eternal Sunshine Of The Spotless Mind”, makes his directorial debut with “Synedoche, New York”. A wildly ambitious and interesting film that ultimately bites off more than it can chew, it stars Hoffman as Caden Cotard, a morose, depressed playwright and theatre director grappling with his latest project. The actor totally nails the perspective and psyche of someone guilty of over-analysing the world around them rather than living it. Intelligent and compelling, “Synedoche, New York” is an incredibly demanding film, but one that infuses both the heart and mind, as Kaufman’s best writing is capable of. In this case, he’s helped immeasurably by a well-cast Hoffman who truly brings this sense of vision and examination of life to being. 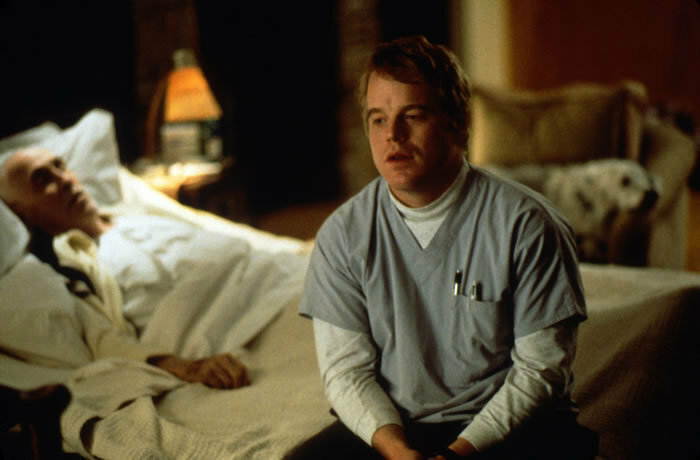 In criminally underrated director Sidney Lumet’s final film, Hoffman is Andy who, along with his desperate and financially challenged brother Hank (Ethan Hawke), rob the jewellery store of their parents (Albert Finney and Rosemary Harris), with dire consequences. A punchy story about greed, moral decay and the eternal concept of action and consequence, Hoffman really nails, along with Hawke, that point of desperation where life has pushed you against the wall and one responds by doing something irrational and simply wrong. Told in a completely unsentimental and, at times, emotionally shattering manner and fashion, “Before The Devil Knows You’re Dead” is not only a great film, but one that really shows Lumet’s strength with actors and his exceptional ability to get the best out of them. Taking that ambition and drive of “Boogie Nights” up several notches, director Paul Thomas Anderson looks at the cross-cutting lives and experiences of over a dozen characters over the course of one day in Los Angeles. Very much a tip of the hat to the multi-strand, multiple character mosaics of director Robert Altman, “Magnolia” is a highly affecting, intense and stunning work. 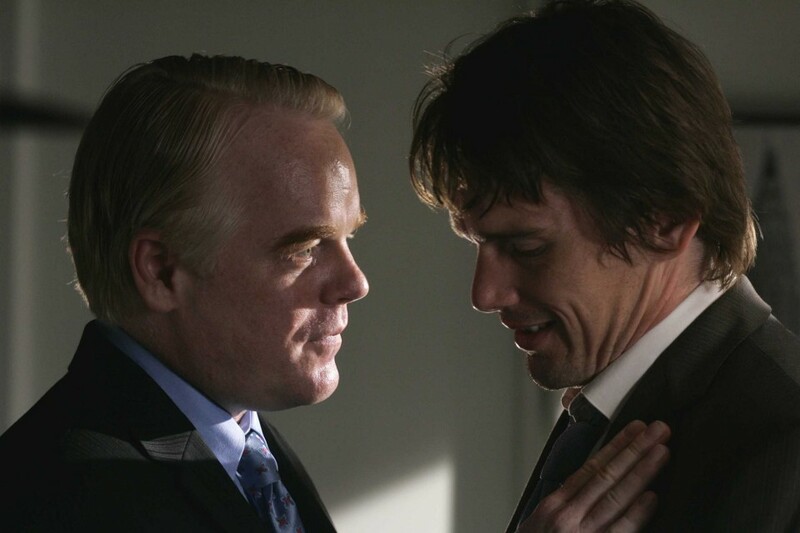 It is one that really displays Anderson’s gifts with actors, getting career best performances from the likes of the late Jason Robards, Julianne Moore, John C. Reilly, Melora Walters, Philip Baker Hall, Tom Cruise and, of course, Hoffman. Here, he plays Phil Parma, a nurse on home duty caring for dying television patriarch Earl Partridge (Jason Robards). What is really striking about this film, where we see the best and worst of people and their effect on each other, is Parma’s dignity and decency in a world that has spiritually gone wild. It is Parma that is the architect behind what proves to be one of the most powerful narrative strands in the astounding work, namely the reunion of a dying father (Robards) and his estranged son (a brilliantly cast Tom Cruise). Along with the other narrative involving the characters of John C. Reilly and Melora Walters, this is the beating, living breathing pulse and heart of this film. Never showy or overplaying his role, this is another fine performance to add to the work of Hoffman. This is a film that could be best described as Acting Powerhouse 101. Starring Hoffman, Meryl Streep, Amy Adams and Viola Davis, this is a pounding, brutal examination of faith set in a Catholic High School in New York in the Sixties. 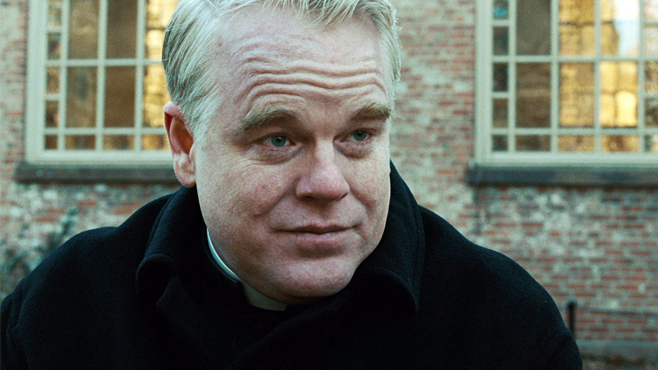 Hoffman is Father Flynn, new to a school that is run with an iron fist by its principal (a never better Meryl Streep). This is a film that addresses the changing times of the period and serves as something of a metaphor with regards to what was going on outside of the walls of the school. Taking on some heavyweight issues such as race, gender and sexual abuse, this is compelling, intelligent and thought provoking cinema on a very high level. The four leads truly bring out the best in each other, lifting what would have been a very good film to an excellent one. 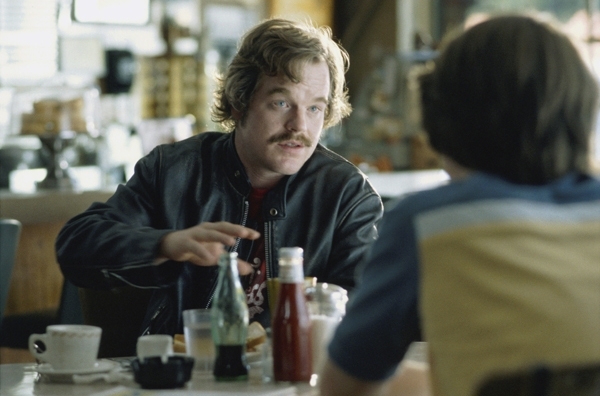 In what proved to be one of the best and most loved films of the 2000s, Hoffman plays real life music journalist Lester Bangs, who serves as something of a mentor to young and impressionable William Miller (Patrick Fugit) who has scored in his teenage years the extraordinary position of writing for Rolling Stone magazine. A passionate, loving and hugely autobiographical work for Crowe, Hoffman shines in the handful of scenes he has here, offering sage advice to one that could easily get sucked into the more negative traits of the music industry. This is a beautifully cast film, with everyone just right in the roles they play. Also unforgettable is actress Frances Mc Dormand, playing William’s mother. The scene where she drops him off at the first gig he’s reviewing and screams at him, in front of the arriving crowd, not to do drugs is one for the ages. Again, “Almost Famous” is a great example of Hoffman, in character actor mode, offering a strong sense of character and personality to a film. Working for the fifth time with director Anderson, this Fifties-set drama sees Hoffman as Lancaster Dodd, charismatic leader of a religion called The Cause. The film concentrates on his relationship with emotionally damaged Naval Korean War veteran Freddie Quell (a superlative Joaquin Phoenix, making a stunning return to cinema after his so-called ‘retirement’). “The Master” is a never predictable look at the way that one chooses their own path in this life, as well as an utterly compelling examination of the anatomy of the relationship that we have with one another. Strikingly shot in 65mm, one of the last films to be filmed in this manner, along with Christopher Nolan’s “Interstellar” (2014) and the upcoming Quentin Tarantino film “The Hateful Eight”, “The Master” is a true example of filmmaker and actor hitting a powerful and haunting plateau in their respective art forms. After years of excellent work in a wide range and variety of films, this is the one that really introduced Hoffman to the world at large and scored him his Best Actor Oscar. 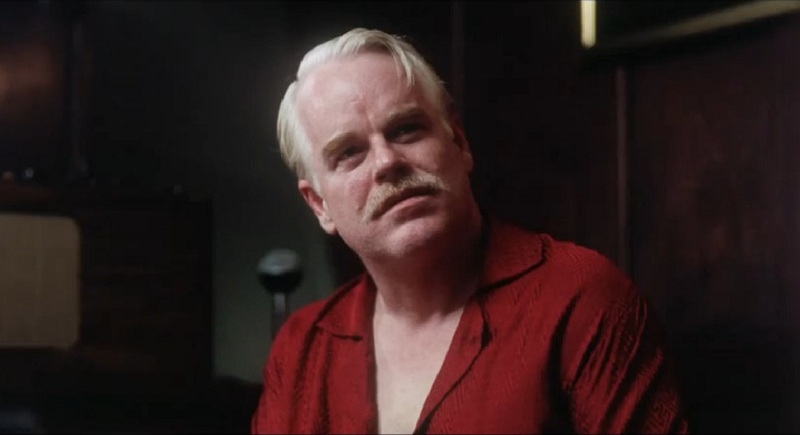 Based on fact, Hoffman truly loses himself in his iconic portrayal of author Truman Capote, best known for his still astounding non-fiction novel “In Cold Blood” and the novella “Breakfast At Tiffany’s”. In lesser hands, this could have come off as a highly mannered, ‘look at me, I’m acting” performance. However, with Hoffman, it becomes a work of great beauty and grace. An openly gay man, part of the joy of Hoffman here is the way that he charms people and gets them to put aside their prejudices in what was, at the time, a cruel and unforgiving world with regards to how those that were ‘different’ were treated by those around him. 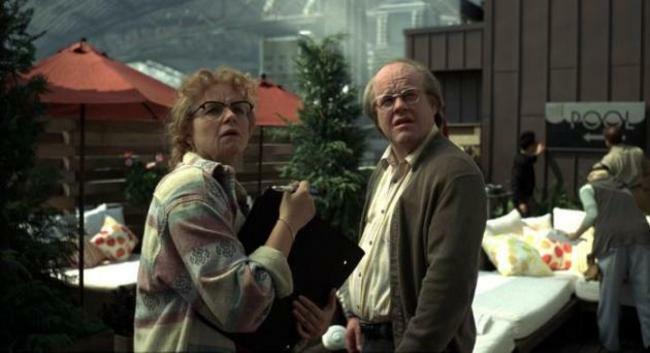 Apparently, Hoffman said in an interview that this was one of the most difficult roles he ever played. 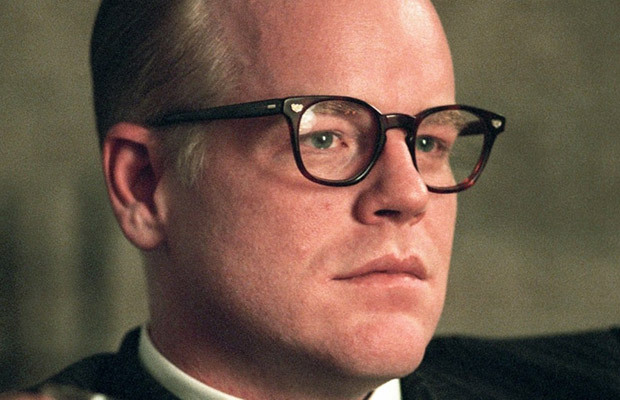 The key for him to unlocking the character was nailing the highly distinctive speaking voice that Capote was known for. After that, according to Hoffman, everything else followed after he got that down. A beautifully made film with a haunting central performance, out of a career that had many high points, this is perhaps Hoffman’s finest hour as an actor.